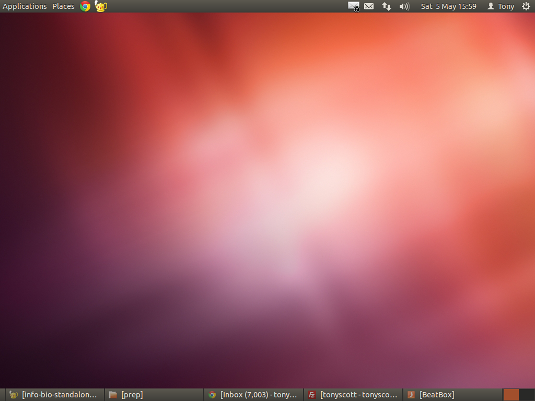 I upgraded my system to Ubuntu 12.04 on the day it was released (26 April 2012), and so far it’s all been plain sailing. At one time, upgrading linux distributions could be a bit of a hit or miss affair, but in the world of Ubuntu this appears to be a thing of the past. My first impression of the new version was speed – it feels distinctly faster than the previous version. A controversial aspect over recent years has been the Unity desktop user interface. Whilst I have no objections to this interface, which is ideal for new Ubuntu users and can be applied to wide range of devices, to a more experienced user like myself it does get in the way. As you can see from the screenshot of my desktop above, I use Gnome Panel (or Gnome Classic as it’s known in Ubuntu), which has been given some design polish in this release. My verdict on Ubuntu 12.04: excellent!